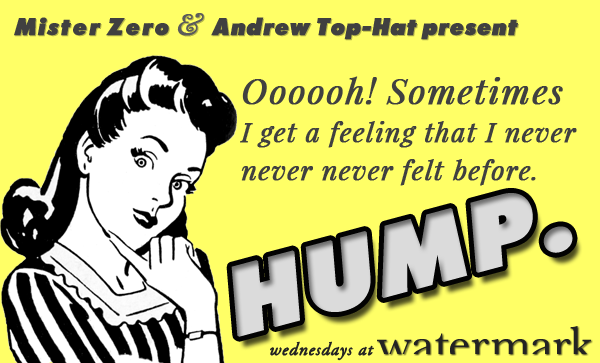 Come down to Watermark on Wednesday June 27th and enjoy the funky sounds of Mister Zero & Andrew Top-Hat! We’ll be playing everything from Reggae, Soul, Disco, R&B, House, Funk, Moombahton, and maybe even some old school Hip-Hop. This entry was posted in Announcements, events and tagged Asbury Park NJ, Hump., Mister Zero, Watermark by mister zero. Bookmark the permalink.